Someone must’ve put out a memo that said Labor Day week was the time to launch crowdfunding campaigns – ’cause there’s an amazing batch of projects that just hit the web. These indie artists have the need for funds, and very worthy projects in need of funding, so here’s hoping you’ve got some money tucked away! 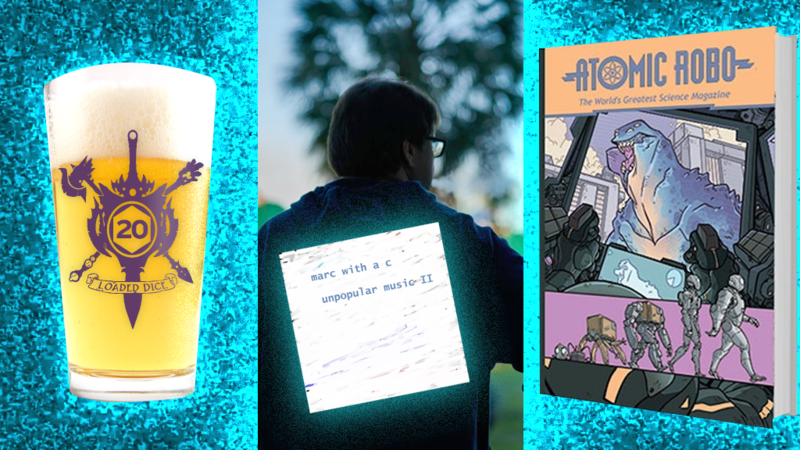 Whether it’s funding artistic pursuits on Patreon, or scoring cool product via Kickstarter, below you’ll find details on the who’s, what’s, and where can I throw my moneys in the worlds of nerd music, comic books, and video games. Support Marc With A C on Patreon! Marc With a C is a beloved singer songwriter with nerdy proclivities whose song topics range from heartbreak to giant squids. He’s a frequent face here on The Nerdy Show Network where he co-founded our streaming geek music service, Nerdy.FM and hosted The Real Congregation – a show for anyone who’s happiest digging through a record bin. Marc is crowdfunding the next phase of his career: new records and more. Starting at $2 you’ll get the downlow on everything he’s up to and archival mp3s including a new rarities compilation, Unpopular Music 2. From $5 and beyond the successive tiers will unlock deeper access into Marc’s process including works in progress, online hangout sessions, even songs inspired by you! 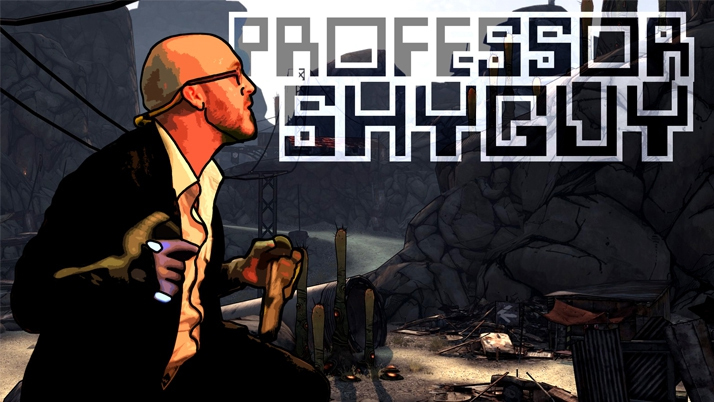 Support Professor Shyguy on Patreon! Professor Shyguy is constantly making chip pop for your pleasure. When he’s not touring or writing albums, he’s jamming out on his stream, and often times those audio odds ‘n’ ends never make it to the public – but no more! Starting at $1 the stream tunes are yours, and $5 and beyond you’ll get access to works in progress, private streams, even private concerts! Back Screech Dragon on Kickstarter! Who are Screech Dragon? Chances are, if you’re a longtime listener of The Nerdy Show Network, you probably already know them. Screech Dragon is the gaming company founded by former Nerdy Show host John “Hex” Carter and Matasm – the artist responsible for Ghostbusters: Resurrection season 2’s artwork, as well as the art for our Ghostbusters RPG Equipment Cards. They’ve got several awesome games on the way, but in the meantime they’re debuting a tool for any dungeoneer looking to get hammered in the pursuit of a natural 20. Loaded Dice are a set of drinking glasses where the better the roll, the harder the chug. You can pick up a d20 pint starting at just $12, and for $50 you can get d4 through d20, with plenty of other options in-between and beyond. Want to hear more about the project? Stay tuned for the September 14th episode of Nerdy Show featuring Hex as a guest host! Back Atomic Robo on Kickstarter! Last year, the Fightin’ Scientists of Tesladyne (aka comic creators Brian Clevinger and Scott Wegener) unleashed a massively successful Kickstarter to reprint their incredible all-ages sci-fi comic series, Atomic Robo in glorious hardcover format. At the time, there were 9 volumes in the series… Now there’s 10! And your completionist nature, and the promise of a fantastic story being entombed in a luxury printing, compels you to score the next edition. What’s more, they’re also funding the creation of a field guide for the Power Ranger Parody, Task Force ULTRA, AND a life-size plush version of Atomic Robo’s head! Never read the series before? That’s okay, they’re all online for free! Want to go behind the scenes of the series? Cool, we’ve got a podcast series called Atomic Robo: Nuts & Bolts (been on hiatus for a while, but returning soon!). For $10 you can get a PDF both Volume 10 and the guide, the hardcover is yours for $25, and there’s a plethora of options and packages for the combo of cool stuff that works best for you. Back Hypnospace Outlaw on Kickstarter! From Jay Tholan, the mind that brought you the surreal and disturbing adventure of Dropsy the clown, comes a point and click adventure the likes of which you’ve never seen before… unless you lived on the web through the 90s. Hypnospace Outlaw is cyberpunk seen through a Lisa Frank webportal circa 1996: a neon-soaked, pixelated labyrinth of Anglefire websites where you’ll have to cruise the Hypnospace Highway and navigate the dangers of adware, toolbars, hackers, rogue GIFs and MIDI files while feeding virtual pets and managing your desktop. Live the digital nostalgia of your nightmares starting at $12 with loads of awesome perks and add-ons like beta access and soundtracks in the tiers beyond. Drag is the New Spandex :: RuPaul’s Drag Race All Stars 2 :: Episode 5 – RuVenge!